Seven months ago, started the belief and dream that children could express the vision of their “world” through the story telling force of photography. It was -20 degrees, the frost on the windows was dancing to the rhythm of the early night lights. I sat at Shaika Cafe, 10 to 12 hours a day working on my own photographs and the dream to help poor children by sharing my magical journey as a photographer, giving them the opportunity to work, voice and improve their life conditions through creative expression. Crazy I thought, ambitious some said, impossible others told, with what money many questioned. My answer, I don’t know. All I knew was that if we all did a little to help, there would be a social change for the better. At the beginning, I had the support of the most important person of my life, my daughter Luna. I explained that I had the dream to give all the children that I didn’t have, what I had given her. With the help of my dear friends and former students, The Daniel Malka Photo Project was born. Very few funds were raised in Canada. I quickly understood that I had to finance the first mission. My former students and other friends, found digital point and shoot cameras, helped me structure the NGO. Niki and Rose from Cosmos fed me. Reisa prepared the paper work. I continued on my path. I had made a commitment, I would respect it at any cost. I went on walking and shooting from sunrise. I stopped at Niki’s at 6 am to have coffee and our philosophical and spritual conversations. She and Rose pushed me, encouraged me, believed in the project as much as I did. As Dr. Stan said, go to 5000m altitude if you want to, as long as you do what you love in a place where people love you, you will be more than fine. Thank you Dr. Stan not only for saving my life but also for your kind and truthful words. Thank you photography for being once again my most faithful life companion. I am still editing the children’s material. My deepest thanks to these children, parents and community for greeting me like a member of their family. 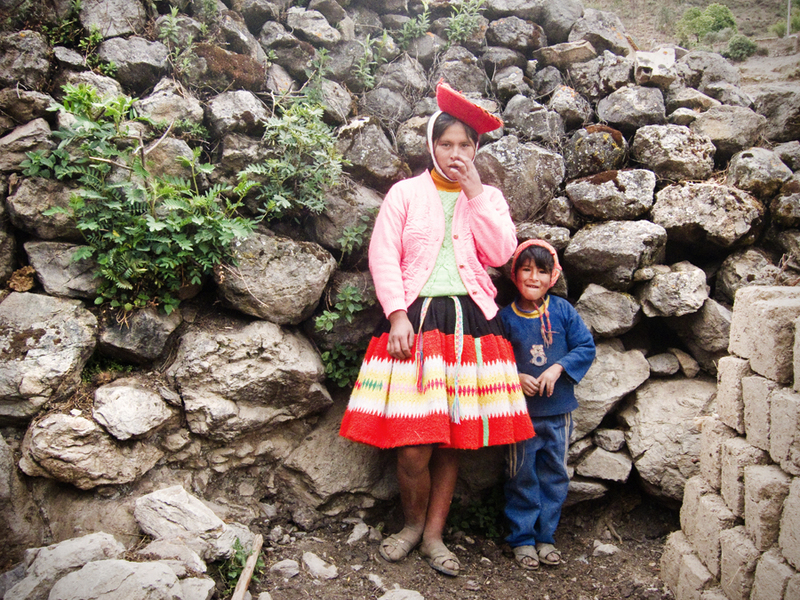 They shared their food, smiles, hardships, values, culture, friendship, culture and homes with me, day after day. The living conditions are hard. The cold is such that the hard drives wont function. The diet consists of potatoes, a bit of rice, noodles and Ayuco. Eating meat is a luxury, and it happens rarely. There is no running water. 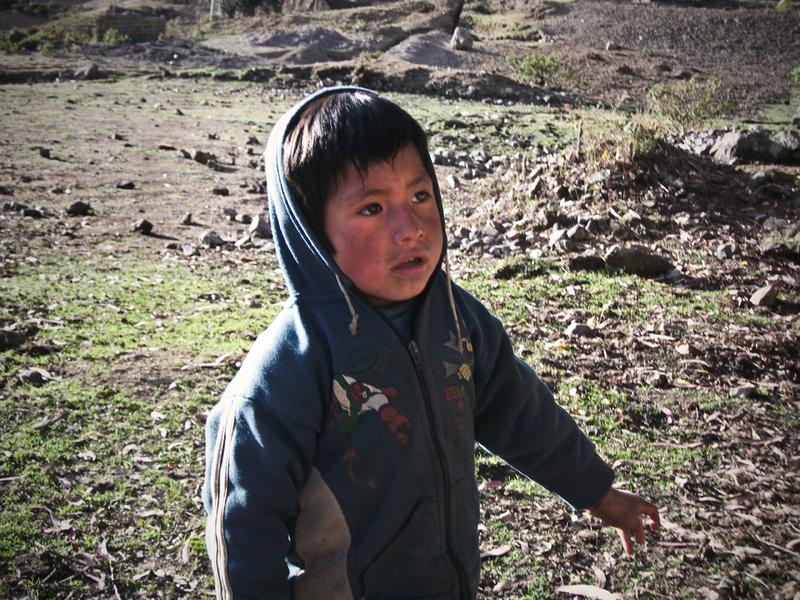 The children wear cotton hoodies and sandals at close to zero temperatures. Most of them have colds. Never the less, they smile, never complain and are starving to learn. On Saturday mornings they would show up at my door at 6 am. Can we start shooting? they would ask. I have been more then overwhelmed by their smiles, enthousiasm, their passion for the camera and their creative sense. They are telling us the story of what, where and how Ruka is, their home, their friends, their animals, their family and how they see. The results: you don’t need a $10,000 camera and a degree to express what you see from the heart, the guts and the soul. These children have enlightened my life, I thank them on behalf of all of us who share the passion for photography. © COPYRIGHT 2012, THE DANIEL MALKA PHOTO PROJECT, ALL RIGHTS RESERVED. ANY REPRODUCTION IN WHOLE OR IN PART OF ALL MATERIAL ON THIS WEBSITE IS STRICTLY PROHIBITED WITHOUT ANY PERMISSION IN WRITING. We have to all do our part to help children. A basic education through photography, narration, culture, art, preserving values and the environment. It can all be done through creative thinking.. I can’t find the words to thank enough the people helping the project, from Canada to Peru, Mexico, Lima and Cusco. I thank Chema Salcedo, RPP radio and TV Peru, and all the produccion team for helping out in diffusing and helping us help the children. I am truly overwhelmed by the kindness and commitment of the Peruvian people. I am more than greatfull to all my friends in Lima and Cusco for all their help and for making me feel so much at home. The children will thank you forever. It’s been many days, many nights, many emotions, photographs, thoughts, steps and bumps on the road. I was delayed, but everything happens for a reason. During these times I discovered the true value of people, family, friends and love. When you are about to leave on a long journey, you discover the fears and of others and realize that you have none. Because in the end, life is only about what you believe in with all your heart and your eyes wide open.. Above all, I strenthened the beautiful bond between a daughter and a father. I thank the stars and the angels for that. In the last months, the sad truth behind my last relationship also appeared. Nevertheless, the love that one offers unconditionally, comes back to him in infinite ways. We are the sum of what we give, not what we take. As I wrote before, this project is inspired by the sum of my life’s experiences. It separated truth from lies, humanism from ego and selfishness, humility from arrogance, talent from vanity, true love from greed, loneliness from solitude and friendship from interest. In the end it created bonds of friendship and compassion with unique people, that neither distance or time will ever affect. So, I’ was delayed yes, but I’m more ready than ever to go on with my task and commitment. I thank the stars, destiny, my parents, my friend Pietro, Laura, Mariana, Adriano, Yves, my daughter Luna, my new friend Mariana, my friends in Peru and Mexico, and so many other supporters for all their kind words, help, time and for believing in all of this. I also need to thank Nicky and Rose from Cosmos for being my true family and so much more for the last year. May they be blessed and remain the beatiful people they are. I will miss them every day. Six months ago I made a commitment. 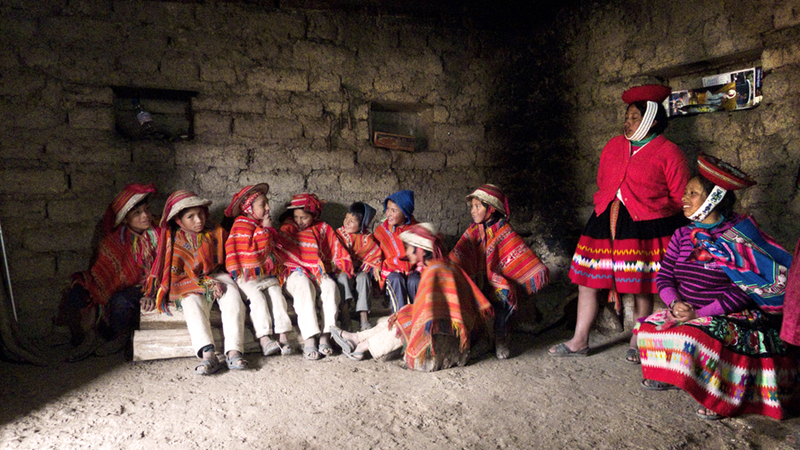 I am in Peru, a country rich in kindness, compassion, culture and humanism. The first week has been filled with meetings with contacts, running incredible projects helping children, photographers and friends. We are all committed in helping and giving the tools and basic necessities to children and their communities in order to create a social improvement and positive change. I will try and do my part through photography. If we all look in the same direction and do a small part, it will happen. I am currently working on “HOW THEY SEE”, and at least one other project. We need to raise $3000 in order to complete the water installation and get other necessities for the children of “HOW THEY SEE”. If you would like to help with your contribution, please follow the link, donate in kind. 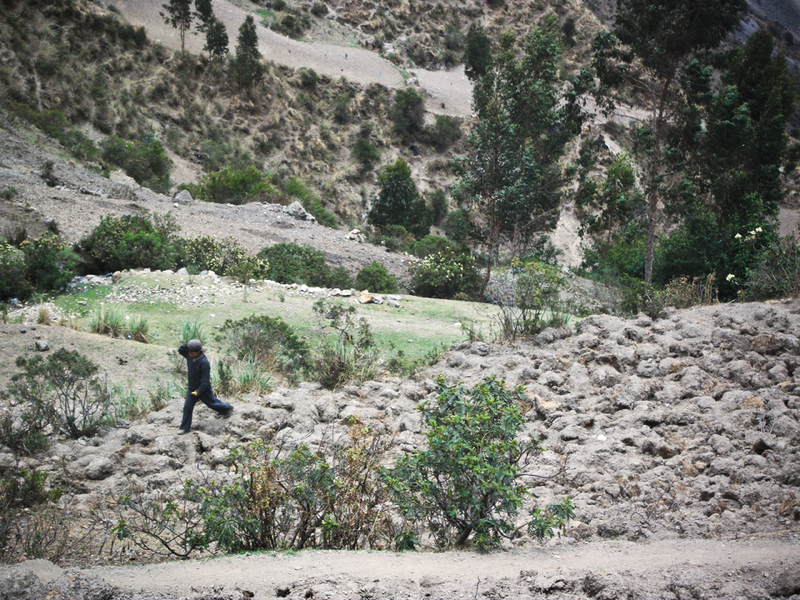 Thank you Peru for opening your arms and heart to our project.